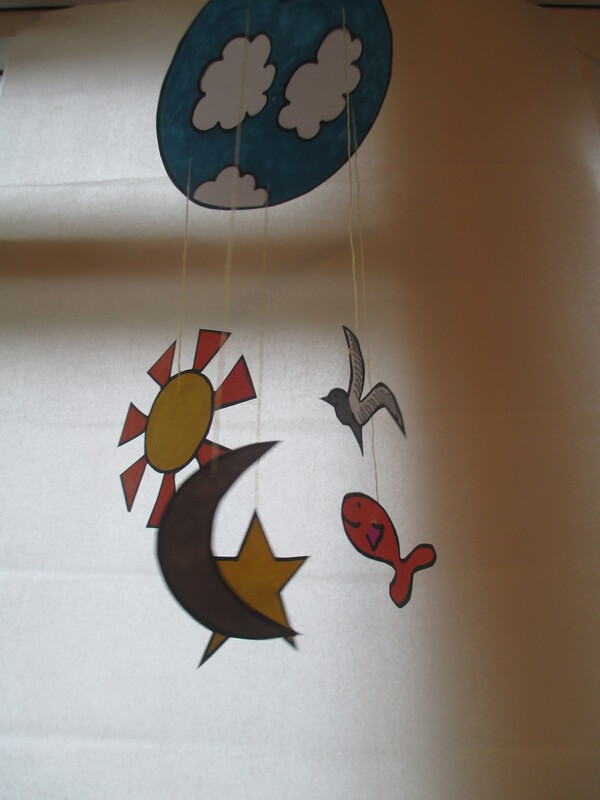 Creation mobile – free Pdf file | Let their light shine! Creation Mobile (1) – print as many as you like. Free to use. 1. One print out for each child – see the Pdf file with this post. It’s free for you to use. 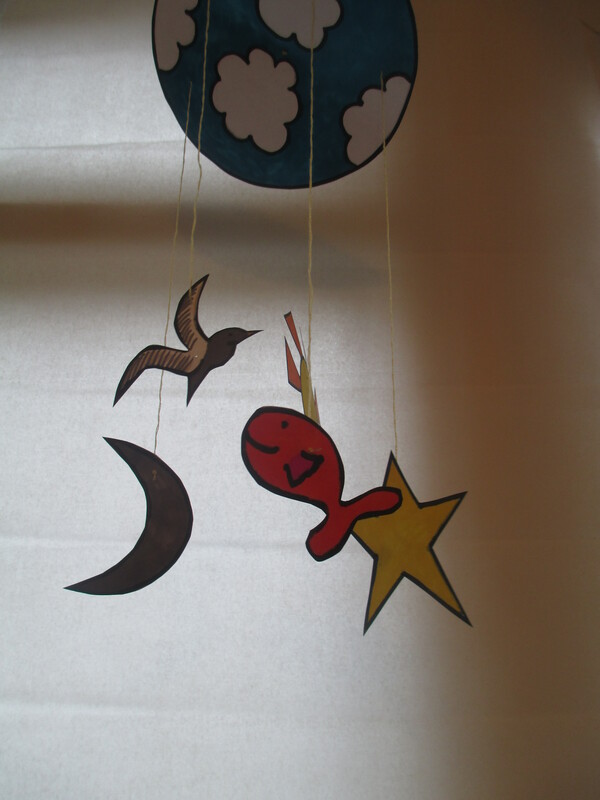 Make a mobile to show to the children so they can see what they are aiming for. Colour the pictures. I added clouds to the circle. Cut the pictures out. You might want to do this for young children. Be willing to help. Punch holes in each picture and holes in the circle. Do this at regular spaced gaps so the mobile isn’t too lopsided. Before you attach the pictures to the circle – find the centre of the circle (fold into quarters to do this) and with the darning needle thread some cotton through the centre. Tie a knot to secure the thread and tie a loop at the opposite end of the thread so the mobile can be hung up. 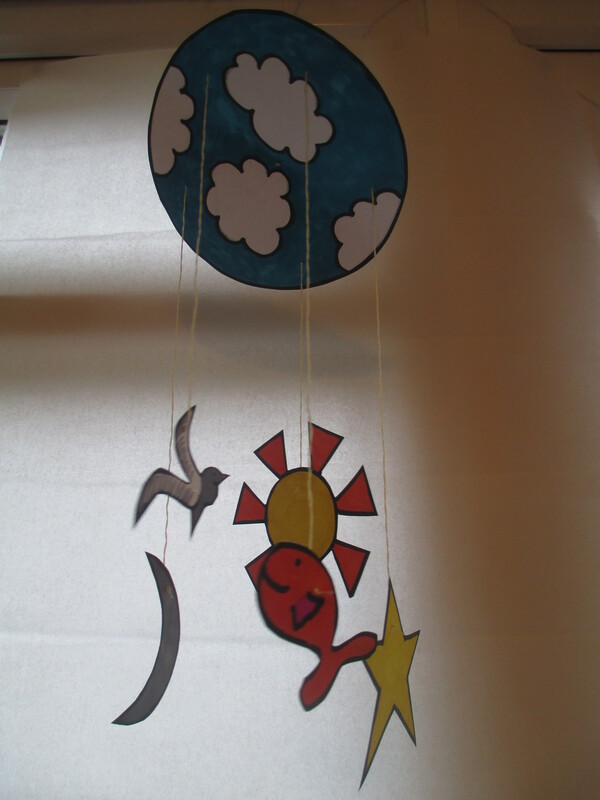 This mobile is just the first five days of creation. Of course you can add other pictures. Pingback: In the beginning..God made people | Let their light shine!